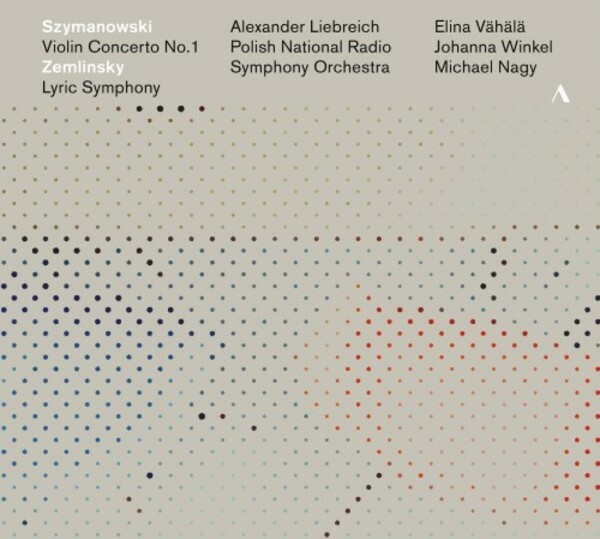 Under the direction of its Chief Conductor Alexander Liebreich, the National Symphony Orchestra of Polish Radio (NOSPR) is the leading ensemble in the country and is one of Europe�s major radio orchestras. As cultural ambassadors with a rich tradition, the orchestra has made its mark through performances of Polish composers, as is impressively documented in the three-part CD cycle that features works by Karol Szymanowski and Witold Lutosławski and was released by Accentus Music between 2015 and 2017. On this new recording, Karol Szymanowski�s Violin Concerto, played by Finnish violin virtuoso Elina V�h�l�, is paired with the impressive Lyric Symphony of Austrian composer and conductor Alexander von Zemlinsky that builds a bridge between lyric poetry and the grand orchestral symphonies. The excellent soloists of this recording are Johanna Winkel, soprano, and Michael Nagy, baritone.